I have a love. It’s a strong and pure kind of love, of the life-long variety. When we are together I feel absolute bliss, even if everything else in life feels in complete disarray. It’s one of those relationships that can survive time and distance. Sometimes circumstances intervene to keep us apart, but when we’re together again, it’s as though we never left one another in the first place. Having said that, being apart is one of the hardest things I’ve ever experienced. Six months was tough, a year, torturous. At that point I wanted desperately to be together again, right then and there, but life kept us apart. Now it had been two years since we really reunited. The longing had become too intense and this time there was nothing strong enough to keep me away. Our reunions had always felt so short and sweet but this time I knew that we would need to stay together for a much longer time - a brief rendezvous was unthinkable. So I made a decision, took a trip to the travel agent and I bought my ticket. Travel and me would be kept apart no longer - for travel is my one true love. The one that never ceases to surprise and inspire me, excite and entertain me, teach me knew things, reveal untold truths and help me to understand myself better. I went to the Italian consulate in Melbourne, arranged my visa and within four weeks I was on my way to my next big adventure. 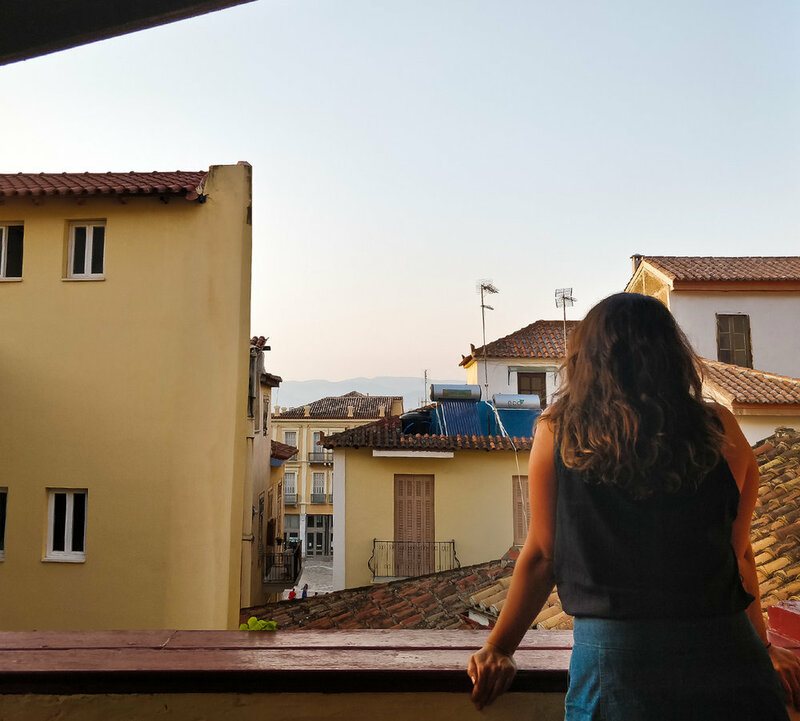 I left my job, my family, my friends and all of the familiar comforts of home in my wake to go in search of new experiences in a foreign country with only a very basic understanding of the local language. Passing through those ominous one-way doors at Melbourne airport gave me jitters of excitement, fastening my seat belt when the signal lit up plastered a lasting smile across my face, and collecting my luggage on the other end, well I was so ecstatic I lifted that 15kg backpack as if it were nothing more than a slight inconvenience to my not-so-athletic frame. It’s been a month since I set foot in the lovely Rome and started to set my roots into this fine and historic soil. I’ve experienced many new challenges, difficulties and anxieties along the way, and I’ve never been happier. My intended return to the homeland is far off in the distance, a good eight months away at the very least. I’ll be settled in Rome but hopping around the globe snapping up beautiful sites and scribbling down the thoughts that cross my open mind. I don’t know what I will do when I come back, I don’t know where I’ll work and I have my doubts as to whether I’ll trek any euros home with me. All I know, inside out and upside down, is that travel is a thing that I love. So is writing. They are two things that I love dearly. When I’m apart from either for too long I feel a physical discomfort. Even though the rest of my life may feel like disconnected lego blocks, when I look at my surroundings, where I am and the places I intend to go still, well I feel pretty darn excited. Nothing can bring me down. Because I have my love with me again.